Volunteers needed! Join the Greater Hartford Green Team in the clean-up and beautification of Wexford Park, also known as Heaven Skate Park. Work to the sounds of a local DJ. Enjoy breakfast and lunch with other volunteers! E-mail nicolaa@knoxhartford.org and let her know you’re coming! 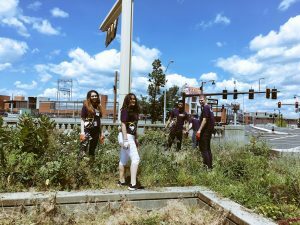 The Greater Hartford Green Team meets the third Saturday of each month from March Through October 2018 from 9 am to 1 pm. We will be coordinating beautification projects, planting and sprucing- up various sites throughout the City of Hartford. For more info, or to sign up for future Saturdays, contact Nicola at (860) 951-7694 ext 14 or nicolaa@knoxhartford.org.